Parents - need a night off? Kids - need a night out!? 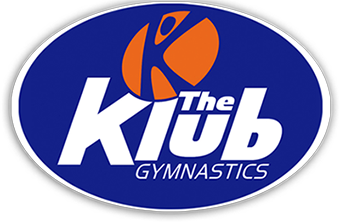 We've got just the solution for everyone…it's KLUB NIGHT OUT at The Klub Gymnastics! Drop your kids off at our full service gymnasium for four hours of fun! Let them run, tumble, and bounce for an hour and a half of open gymnastics, followed by a movie with pizza, a beverage and popcorn. It's less money than a babysitter and twice the fun! Klub Night Out is a monthly event, so please click HERE or visit our EVENT CALENDAR to find out the next date! More details are available at our Front Desk. Includes pizza, a beverage, and popcorn. 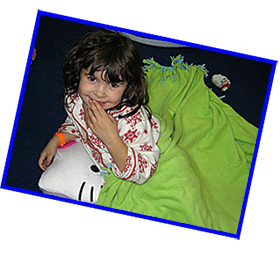 Clothes: Klub Night Out begins with an hour and a half of gymnastics so your child should wear clothing that will not restrict movement. 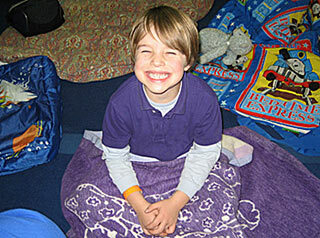 What to bring: Pajamas to wear during the movie, a pillow, blanket and sleeping bag are all optional and encouraged. When you arrive your child will be receive a colored wristband and you'll be able to put your child's belongings into a bin labelled with their name. Food: TKG will provide pizza, a drink, and popcorn. 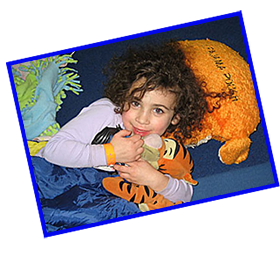 Children are welcome to bring their own food, especially if they have any food allergies or food sensitivities. We order regular cheese pizza from Pizza Hut. If you do pack a meal for your child, remember that we are a glass-free facility. Be sure to arrive promptly at the start time. Our front doors will be locked once program begins. If you need access, please call the number posted on the front door. TKG does not take grouping requests for Klub Night Out. As a safety precaution, parents will not be allowed on the gym floor while the movie is being shown. All cell phones must be left with your child's belongings; they will not be able to have a cell phone with them during gymnastics or during the movie. Please call us if you will be late to pick up your child. TKG reserves the right to charge the family account $1.00 for every minute a guardian is late to pick up a child. 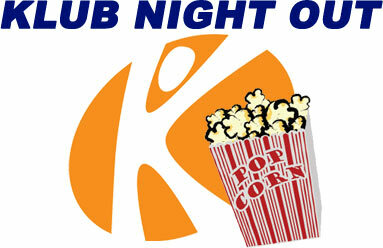 Klub Night Out fees are due at the time of registration. We cannot give refunds, makeups, or credit in exchange for missing Klub Night Out. Q: Does my child need to be enrolled in classes to attend KNO? A: No, our KNO program is recreational and we have children of all gymnastics levels. Q: Does my child need to be potty trained? A: YES. Students are required to be potty trained and independent during restroom breaks. Q: Can a Koach help my child in the restroom? A: A Koach may help with opening doors, helping a student figure out how to work the sink and dryers, however, Koaches do not enter the stalls with KNOers. Q: Do you take group request for KNO? A: We do not take group request fro KNO. The main purpose of our grouping is to facilitate roll call and transitions. Aside from that, KNOers are able to spend time with their friends even if they are assigned different colors. Q: Can my child bring their own food? A: Yes. TKG provides pizza, a drink, and popcorn. However, if a child has food restrictions or prefers other options, they may bring their own food. Please remember, TKG is a glass free environment. Q: What do we bring? A: Comfortable work out clothes for the gym portion. Optional PJ’s for the movie. Pillows, blanket and/or a sleeping bag is recommended for the movie portions of KNO. No beach/lawn chairs are allowed. Q: Can I lay with my child to watch the movie. A: No. As a safety precaution, no adults will be allowed on the gym floor during the movie. Q: Can I pick up my child before 9:30 pm? A: Yes, we lock our front doors once our program begins. Please call the phone number posted to gain access. Q: What time does the movie start? A: We aim at ending the movie as close as possible to 9:30 pm, therefore, the start time may vary depending on the length of each movie. Q: Can someone else pick up my child? A: Yes, we would need written consent in advance. Any potential late fees are still the responsibility of the parent/guardian. Q: What do I do if I missed my KNO date? A: TKG cannot give refunds, makeups, or credit for days a child is absent from KNO. Q: Can I use and absence from classes towards KNO? Can I use an absence from KNO towards classes? A: No, classes and KNO are two separate programs that are staff differently and have different availability.